Just a quick note for anyone hoping to import a MOTHER 3 Deluxe Box from Japan – apparently some recent-ish regulations in Japan prevent shipping companies from shipping anything with lithium batteries in them, and it seems handheld systems like GBAs and DSs fall under that category. As a result, if you want to import a MOTHER 3 Deluxe Box, the proxy company you’re using will have to remove the battery first. That, or you’ll just have to not import the DX Box at all. It’s kind of a pain, so if you can, try to get a DX Box that’s not being sold in Japan. I’m no expert on this sort of thing though, so if anyone knows any ways around this problem (maybe surface shipping will work?) or how to install a new battery into the DX Box’s GBA Micro, please share your info in the comments! 21 Comments to Importing a MOTHER 3 Deluxe Box? I was always confused about this. Isn’t the battery completely removable? Or is it the kind where the battery is also the back of the device? I know that the DS Lite battery at least appears to be removable (has its own screw and panel on the back). No idea about any other Nintendo console though. …hmm, I guess this makes a Japanese 3DS very hard to import now. It looks like you’d have to open up the 3DS to remove the battery (the back is solid), if the battery isn’t glued in there. 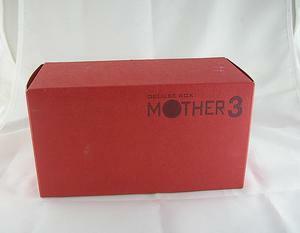 ok, can anyone tell me how to get the mother 3 handbook over in the UK? Nintendo of America no longer sells Game Boy micro replacement batteries, so this furthers the problem. =D Or you can arrange for a friend who doesn’t care about international regulations to ship one to you. Whose bright idea was it to make a law that you can’t ship ELECTRONICS from JAPAN? The most economical solution is likely to remove the battery and try to find a replacement in the US. It seems they’re allowed to be shipped by surface mail to certain countries? Maybe US folk can find a Canadian proxy service? I got it in U$296 with shipping from Japan to Mexico and it comes with battery and all his accesories including the Franklin Badge. That was about two years ago. But why? What could this law even do to improve japan?? I ran into this problem sending a PSP to my brother. It has nothing to do with “Japan” or keeping the country itself safe; as far as I understand, it’s related to international shipping by air, because (this is what I saw at the post office) there’s a (small) danger that a lithium ion battery at altitude (remember that planes DON’T pressurize cargo holds) can expand and explode. Watch youtube videos if you want to know what a lithium-ion battery explosion is like (it’s not good). That said.. it’s VERY unlikely. But that’s why they chose to do it. The most important is word “with”. I think this can be easily bypassed – do not put the battery inside GB Micro. Instead, put the bettery into separate package. At home, you could simply insert the baterry into GB Micro and that’s it. I airmailed my laptop home from Japan (to Canada) to have a warranty fix done and they made me remove the battery, but I was able to ship it separately via surface. This was three years ago, so not so recent…things slip by them I’m sure but I was told to write “NO BATTERY” whenever I was sending electronics home. Yeah,it’s really expesnive of course.R$1499 is around $749.In my case,I just wish I could buy the cartridge itself some other day and maybe Earthbound too.Something like this is just too much trouble(and money). I don’t even need the box set. Just a loose MOTHER 3 Micro would be swell. As of January 2013, it is legal again to ship with the lithium batteries Internationally from Japan (though France and Germany have shipping laws against it still), so for my fellow Mother 3 fans in the States, fear not!